- Bobby Lee visited the Morning AMp and posed for an extremely happy photo with hosts Molly and Adam. You know him from MADtv and can see him perform at UP this weekend. - John DeVore talked to Claire Zulkey about his time in Chicago for Just for Laughs." During the week of the festival, I felt about sleep the way I use to feel about cocaine," he said. "The prospect of collapsing into my hotel bed made excited to live." He also describes Chicago as "America." - The Chicago Commercial Collective&apos;s A Steady Rain is being remounted with original cast and crew at the Chicago Dramatists this summer. That does not mean the original cast on Broadway, which was Hugh Jackman and Daniel Craig, but Randy Steinmeyer and Peter DeFaria. 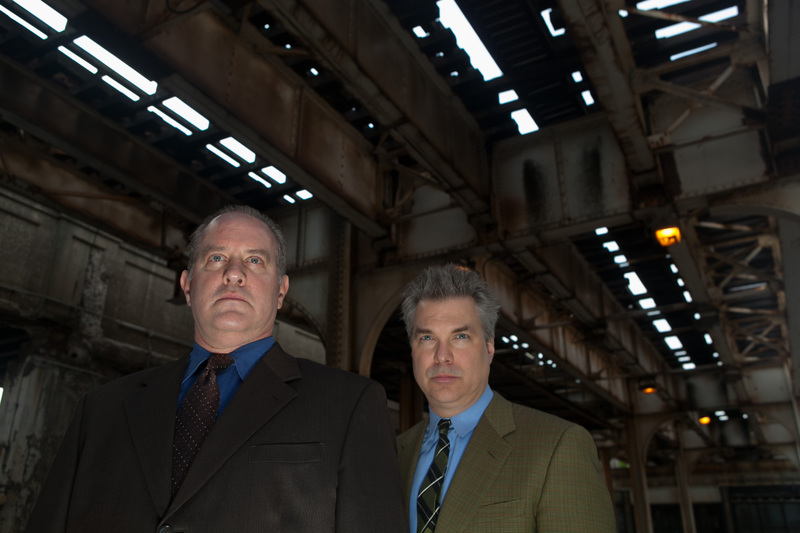 - The League of Chicago Theatres Theater Thursdays program this summer will include shows from Caffeine Theatre, eta Creative Arts Foundation, Redtwist, Stage Left, The Building Stage and The Inconvenience. - The Saint Sebastian Players have figured out their 2012-13 season; they&apos;re doing A.R. Gurney&apos;s The Dining Room (a personal favorite); the world premiere of Lefties by Lee Johnson; and Measure for Measure.